Today’s nurses have been accused of being “too posh to wash” and lacking compassion, writes Stuart Butler. But unless policymakers are willing to free up their time through further recruitment, or abandon their obsession with targets, they should learn to live with the professionalized work-force that is entirely of their own making. Rather uniquely for an historian, I actually started out at University as a student nurse, and the thing that angered me the most about this idea is the implication that ever since nursing has become professionalised, nurses have chosen to become less compassionate. This is sometimes called being “too posh to wash”. My friends and I were not “too posh to wash”, nor had any of us entered the profession to “get a degree” as is sometimes implied in the press. We started the degree to make a difference, to help people through the most difficult times they’d ever experience and try and do something good (this is a bit sickly, but bear with me). The main reason that I eventually left was not because I didn’t enjoy it, or because I couldn’t stomach the less palatable aspects of personal care, but purely because I did not have the time to do a “good job”. Nurses now perform more clinical interventions on patients than doctors: they carry out most treatments independently (including minor surgery) and now have a major role in planning care. Ideally, this increased contact with patients would mean a closer, holistic and compassionate nurse-patient relationship, but it’s not an ideal world. Even as a student I felt that I was just clinically intervening, never having the time to properly interact with patients. Of course, the easy response is “make time”, but as nursing has become more about clinical care and clinical priorities it is difficult to justify spending 15 minutes with one patient when you’re fully aware that other patients are in need of clinical interventions which you are trained to do. Realistically it’s no longer a debate about “too posh to wash” or whether nursing should be professionalised or even whether nurses should be doing a doctor’s job on the cheap. The fact is that the role has changed significantly from the “Nightingale standard” and there is now a fundamental mismatch between what nurses are expected to do and what nurses are actually trained to do. There’s some very good scholarly literature on this but a summation of the point can be found here. That was precisely the problem I had, and those of my friends who are now nurses, stuck the course because they managed to adapt their expectations of the role to the realities of it. Politicians and society still expect nurses to be ladies with lamps, sitting by the bed in your hour of need until you’re better but equally they expect a modern and efficient health service providing “fit for purpose” (i.e. cheap) healthcare for the nation. The easiest way to achieve this has been to slowly increase the role of a nurse, to make them “practitioners”, but something that’s always slipped of the bottom of the agenda is how a nurse is meant to balance that with their existing role. If politicians want nurses to go back to a more “compassionate” rather than clinical role then making them be an HCA for a year during training is not a way of achieving that. But there is one simple way of giving nurses the ability to tackle both clinical and “compassionate” tasks: give nurses more time. Unfortunately, this involves hiring more nurses and completely negates the point of training nurses to a higher standard to save money on doctors and other expensive staff. Or, perhaps, the targets could go, and nurses could be driven by something else other than self-justifying the meeting or missing of largely pointless targets (again, not likely). Alternatively politicians can learn to live with what they’ve created (intentionally or not): a professionalised work-force. 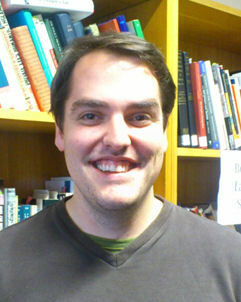 Stuart Butler tweets as @HiSTphd, and contributes to the CHSTM PhD Blog, where this blog post first appeared.